My brother graduated from UC San Diego this past weekend. 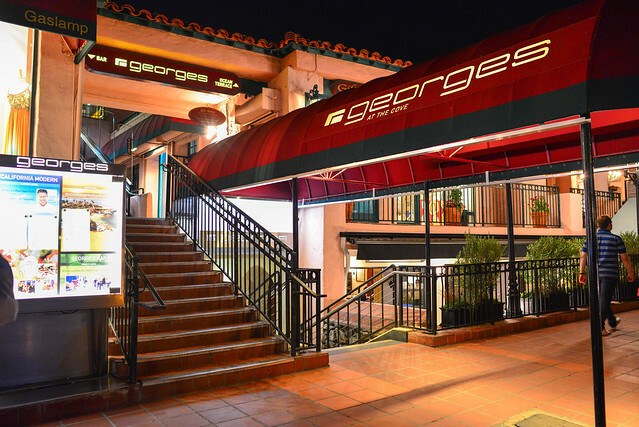 While searching for restaurants for a graduation dinner, George’s was #1 on my list. 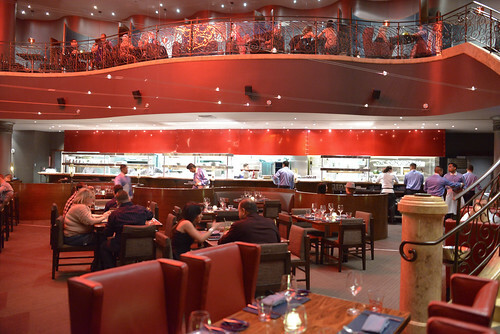 Sure – its La Jolla location, just a few miles from campus, was a plus, but my family has never shied away from traveling a bit for a good meal. I’ve been hearing good things about chef Trey Foshee’s cuisine for a couple years now and have had a growing urge to make a visit. I think we made the right choice; we had a beautiful and delicious celebratory dinner here. 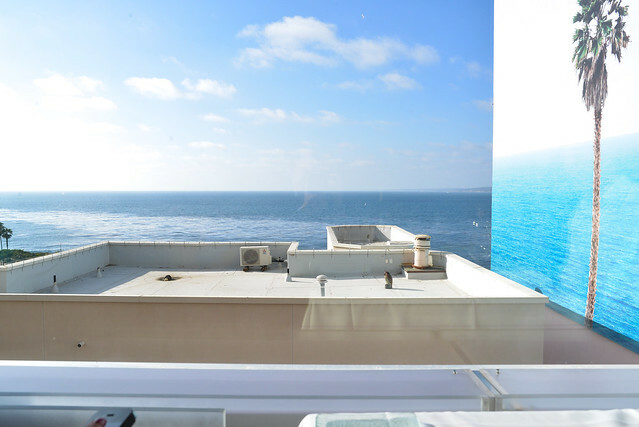 Given the restaurant is just off the water, there are sensational views of the ocean and sunset. However, the downside was that half of our party (those facing the sun) were somewhat blinded for a portion of the meal. Brian Malarkey’s been a busy man in San Diego, having opened six restaurants in the area over the last two and a half years (with one closing recently). Aside from being a young chef/restaurateur, he’s probably best known for his appearance on Top Chef (season 3) and for being a judge on ABC’s The Taste alongside Anthony Bourdain, Ludo Lefebvre, and Nigella Lawson. 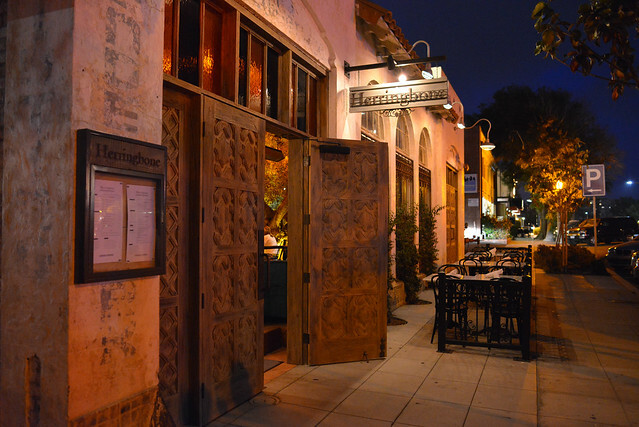 Herringbone is his lone restaurant in La Jolla (which was convenient considering my family and I were there for UCSD’s graduation weekend), while fellow Top Chef alumnus (and former Water Grill executive chef) Amanda Baumgarten is the executive chef at this seafood-centric spot. 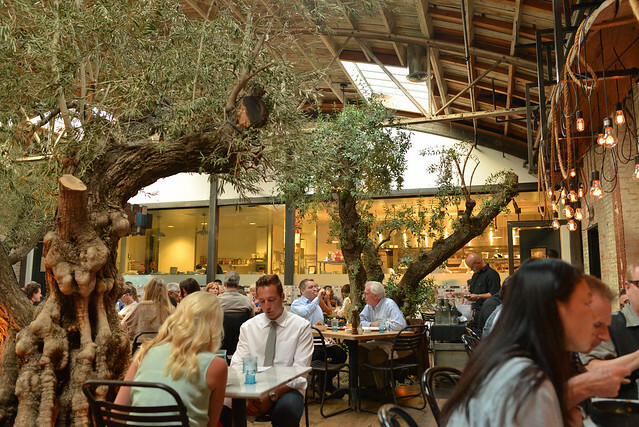 The restaurant is large and kind of beautiful, with huge windows providing a glimpse into the kitchen and whole trees playing a part of the interior decor. The menu features a raw oyster bar, a handful of hot/cold small plates, pizzas from a wood-burning oven (sort of unexpectedly), and about a dozen large plates balanced between land and sea. 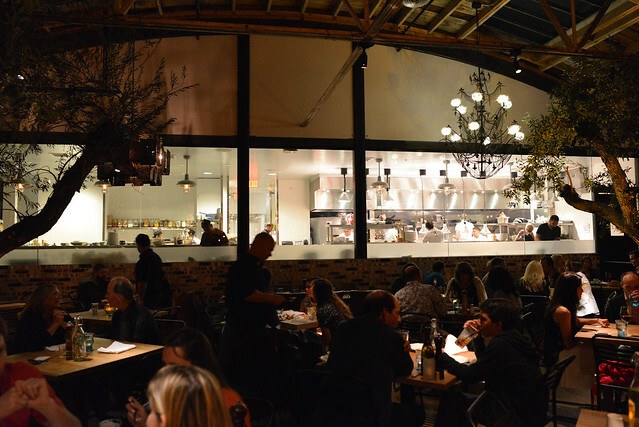 When Jeremy Fox was named Executive Chef of Rustic Canyon a few months ago, a return visit quickly shot up my list of places to eat. Fox, who garnered a Michelin star cooking vegetarian at Ubuntu in Napa, has been hard to catch up with since moving to LA a couple years ago. He’s held a number of quick consulting chef engagements and pop-ups around town (Freddie Smalls, Paper or Plastik, Barnyard, Old Soul @ Square One), departing each before I could find the time to go (or even before the restaurant opened). I’ve even missed his guest stints at last year’s 5×5 Collaborative Dinner @ Providence and Test Kitchen @ Bestia due to being out of the country. Needless to say, I was glad to finally be able to track down his cooking here in Santa Monica. 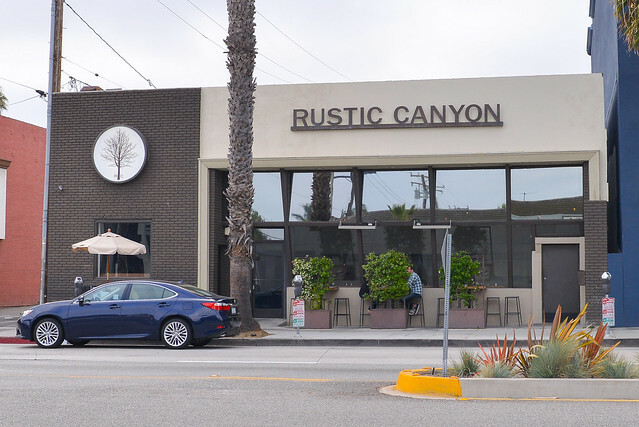 I’ve been to Rustic Canyon a few times; while probably best known for its burger, I’ve always felt the restaurant was pretty solid all-around. 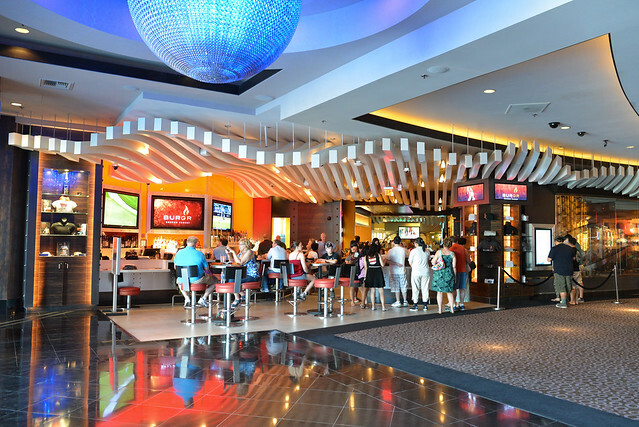 The burger is no longer on the menu, replaced with Fox’s own creations. 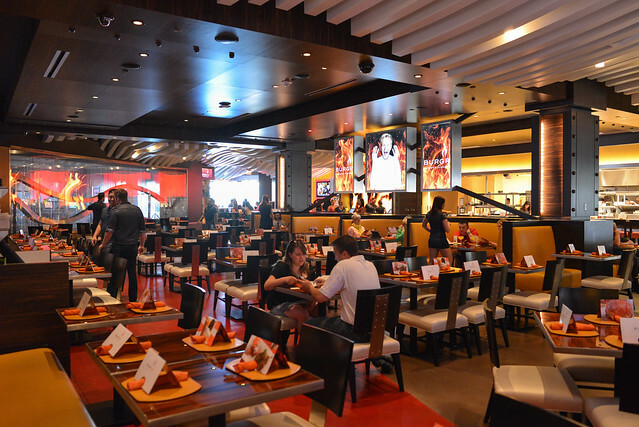 It’s largely centered on seasonal small plates with a few larger entree-sized items. Similar to sister restaurants Huckleberry, Sweet Rose Creamery, and Milo & Olive, desserts are from the mind of co-owner Zoe Nathan. 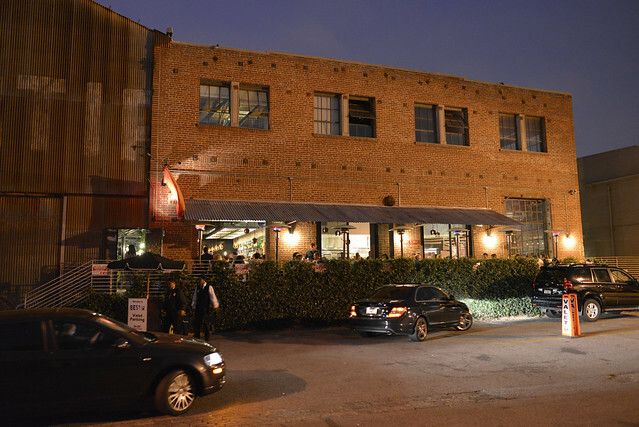 Bestia opened in downtown LA late last year, and continues to be one of the most popular restaurants in the neighborhood. 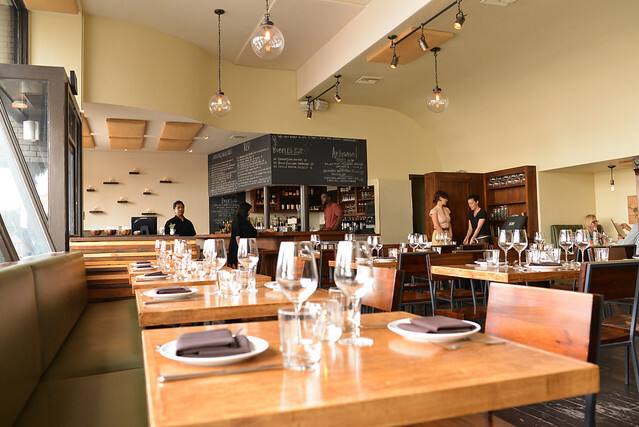 Ori Menashe is the chef here (formerly of Angelini Osteria) cooking up Italian food based around a house salumi program, a wood-burning oven, and housemade pastas. Wife Genevieve Gergis heads the pastry program, completing the husband-and-wife team. The menu is on the larger side, featuring about twenty small plate antipasti, about six pizza options and just a handful of larger entrees. My favorite part of the menu may be the pasta section, with a constantly-changing lineup of around eight at a time. There’s a lot of great-sounding stuff too; I’m always indecisive here. 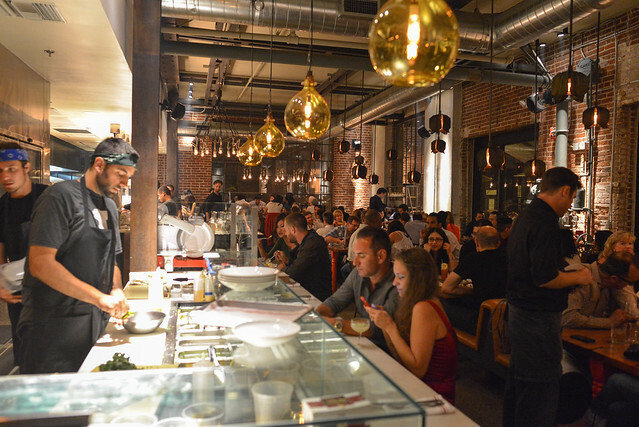 This post spans three separate meals at Bestia, which I can confidently say is my favorite restaurant in downtown (and one of my favorite in the city) at the moment. 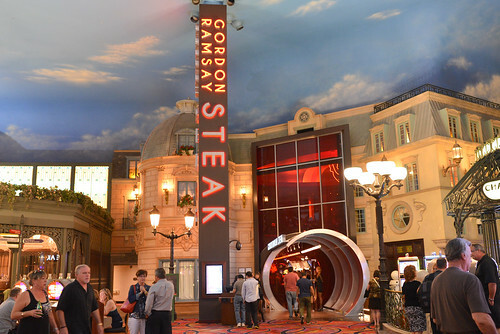 Gordon Ramsay Steak has been high on my list of Las Vegas restaurants to try since it opened last year, when I sampled Ramsay’s delicious beef wellington at the Vegas Uncork’d Grand Tasting. Ramsay has more than two dozen restaurants around the world now, ranging from Michelin three-star to mediocre. However, his steakhouse has garnered consistently strong reviews over the past year, so I anticipated a meal closer to the former (not that this restaurant has 3-star ambitions though). My dad’s dined here before and enjoyed it, but this would be the first trip for the rest of our family. 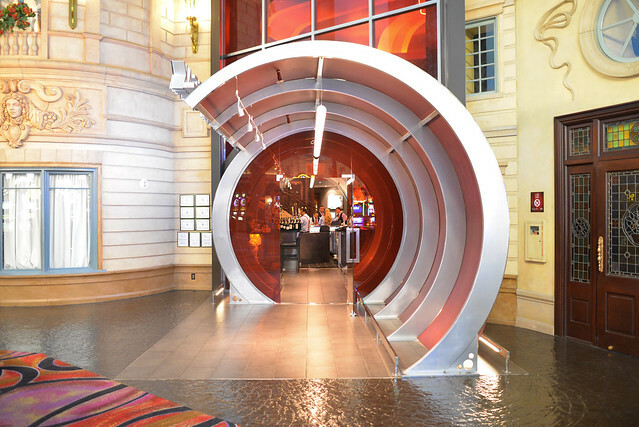 Located just off the casino of the Paris Hotel, the restaurant’s entrance was inspired by the Channel Tunnel, transporting diners to the UK. The USDA Prime steaks are from noted butcher Pat LaFrieda, dry aged a minimum of 28 days in a Himalayan salt room. 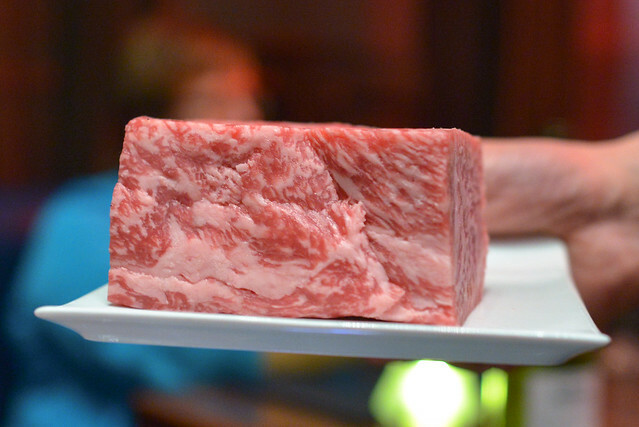 The marbling (and pricing) moves up from there with a selection of both American wagyu and true Japanese wagyu. 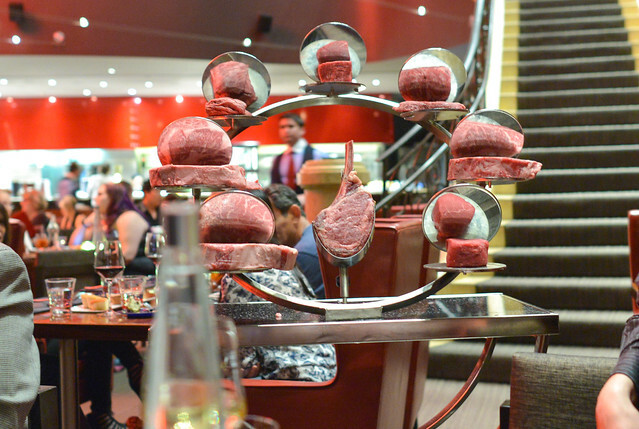 Each cut is on display at the onset of the meal, with the exception of the Japanese wagyu. If asked though, they will bring out the beautifully-marbled piece of cow.